Earthlette Sensitive Pits - Hypoallergenic, natural deodorant that works! Do you want to switch to a natural and plant-based deodorant but find that your skin sometimes getting irritated from them? A natural deodorant formula that’s bicarb-free, filled with natural and plant based ingredients that are designed to soothe, neutralise odour, absorb the moisture of sweat and be nourishing for your skin. 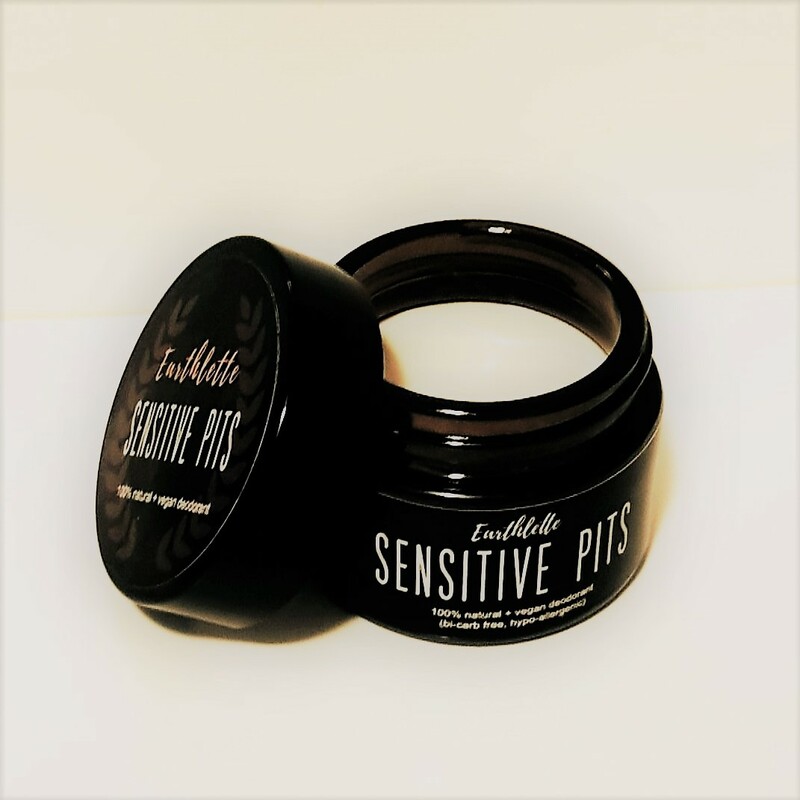 To further reduce the risk of Sensitive Pits irritating your skin we’ve also left out most of the essential oils (except wild cypress) for the very sensitive souls out there that react to various essential oils too! Orders are processed on the day of purchase and shipped out within one business day, unless otherwise advised. Standard delivery takes approximately 2-10 days depending on your location and Australia Post. With Express Post, delivery is next business day for all capital cities within the network and for all other areas, it can be 1-2 days. Please note if you order on a Friday your order won’t be processed until Monday. A tracking number will be sent to you when the order is dispatched. All goods are despatched from Melbourne, VIC Australia and are delivered by Australia Post. Some of our products are made with ingredients that allow the product to melt around body temperature. During warmer months, these products can get very warm in transit and could melt. 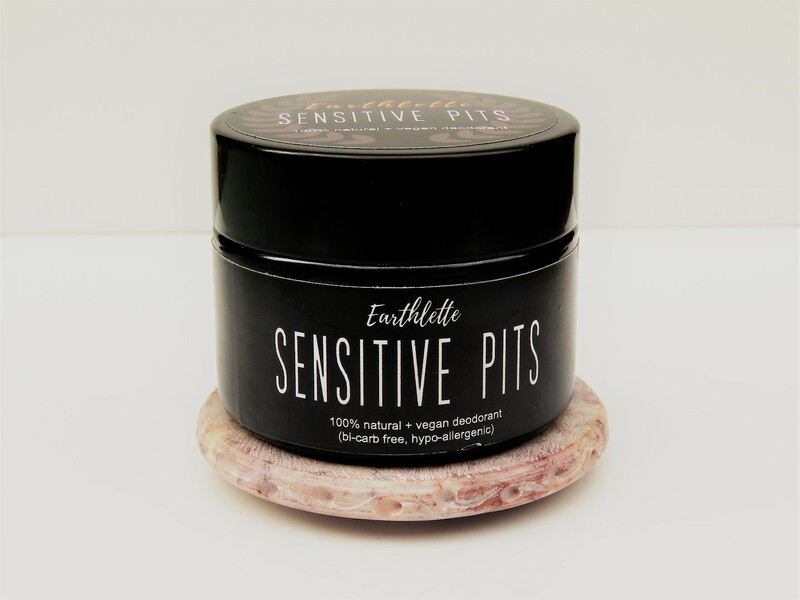 Earthlette is not responsible if a product arrives melted, and in most cases you should be able to stir the product and pop it into the fridge or allow to return back to room temperature, and still be able to use them. Please note we are not able to replace or refund these items if they melt in transit. Earthlette understands the need for correct information handling practices on this site. This Privacy Statement applies to Earthlette’s information handling practices generally and to your use of the Earthlette website. As part of the buying and selling process we need to collect some personal information such your name, address and email address. This information will normally be collected to provide you with products or services or fulfill an enquiry or request. We may also need to collect credit card details to enable us to process a payment from you. In certain circumstances, we may also place a cookie on your computer through your web browser. A cookie is a small data file that is sent from our web-server and stored on your computer’s hard drive. The cookie is not linked to your personal information and cannot be used to identify you. Its only purpose is to enable our systems to recognize your browser and provide you with a better interaction with our website. You may choose to reject the cookie, which will still allow you to visit the website, but may limit your experience and access on the site. We periodically conduct direct marketing campaigns to promote our services. Only with your permission, we may send infrequent emails about our store, new products and other updates. We will never sell your information to any third person or business. In all such correspondence, we provide recipients with details on how to opt-out of future campaigns. Our aim is to ensure that your personal information is accurate, complete and up-to-date. To help us with this, please contact us if any of your information you have provided changes. We will take reasonable efforts to correct the data. We are committed to keeping the data you provide us secure, and we will take reasonable steps to protect your personal information from unauthorized loss, misuse, modification or disclosure. You can request us to provide access to the personal information that we hold about you. To request access please contact us using the details provided below. We reserve the right to change this Privacy Statement at any time. It is advisable to review this Privacy Statement periodically for changes. Further information on the Australian Privacy Act and the National Privacy Principles can be found on the Australian Privacy Commissioner’s website at www.privacy.gov.au. A natural deodorant formula that’s bicarb-free and contains 100% natural and plant based ingredients that are designed to soothe, neutralise odour, absorb the moisture of sweat and be nourishing for your skin. 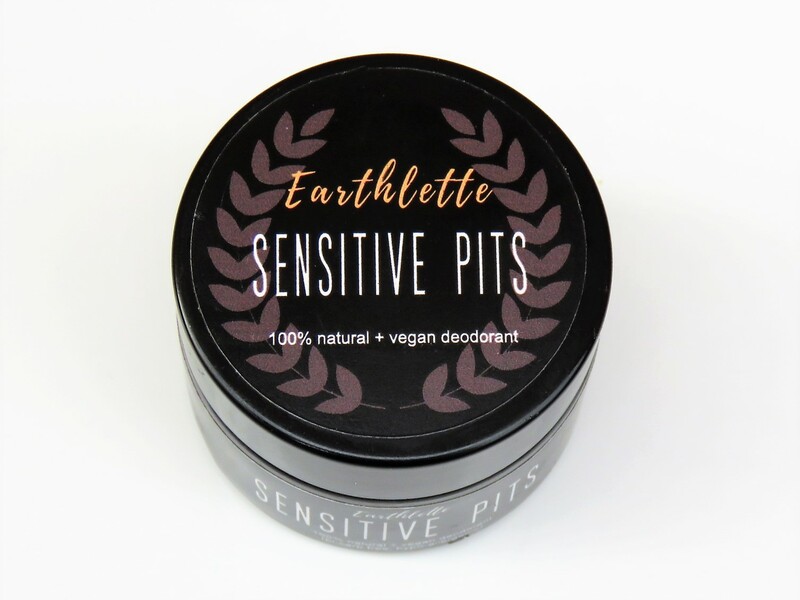 Earthlette Pit Paste is 100% natural deodorant designed for happiness through freshness.